Celebrity vocal coach and mentor CeCe is best known for her TV appearances and behind the scenes contributions on shows such as X Factor and The Voice, CeCe is now focusing her efforts on utilising her extensive knowledge of music for this cause. As music helped CeCe overcome her own near-death experience (she suffered a severe brain aneurysm which left her temporarily unable to walk or talk), she is a true believer in the healing power of music, believing it to be the key to overcoming adversity. And research has shown this to be true, with music being linked to a reduction in stress, anxiety, improved cognitive function and many more benefits. Last year’s Future Music Songwriter winner Denis Coleman spent much of 2018 touring schools across the country with the Power of Muzik and helping to spread CeCe’s message. If You Can Speak, You Can Sing is an educational book aimed at students and young adults to help them develop their confidence, relieve stress around learning and exams and encourage youth empowerment. The book also includes a number of the music therapy techniques featured in the Power of Muzik schools tour. 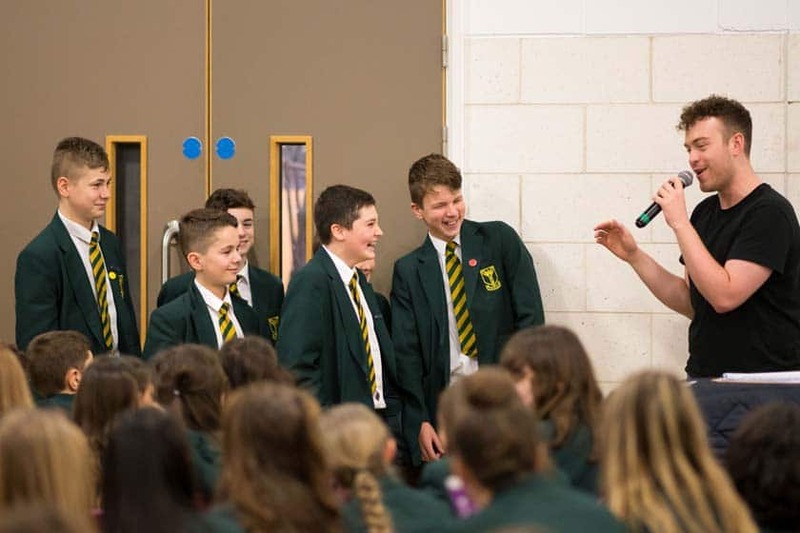 Ahead of the launch, rising star Asher Knight, and former X Factor contestant, Luena Martinez (both of whom are featured in the book) are currently holding If You Can Speak, You Can Sing masterclasses at schools across the UK. That’s when they’re not opening for BOYZONE on their UK tour! CeCe’s Power of Muzik initiative, an innovative new programme created to empower and inspire young people through music education, is also helping to tackle the issue. The Power of Muzik uses music therapy techniques and powerful messaging within music to educate and spread positive advice to young people going through personal challenges, mental health issues and bullying. CeCe Sammy’s debut book If You Can Speak, You Can Sing is out on February 1st and will be available to buy online and in a number of retailers. It will also be given to every state school visited in 2019. For more information about CeCe Sammy, the Power of Muzik and If You Can Speak, You Can Sing, visit their website. Open Mic UK are also proud to announce our new partnership with Kidscape​ to fight bullying and help empower young musicians to share their talents without fear. And see our article 7 Famous Singers Who’ve Experienced Bullying.